What is ISO/IEC 17025 Accreditation? ISO/IEC 17025 is the primary international standard for both testing and calibration laboratories. It was originally known as ISO/IEC Guide 25, ISO/IEC 17025 initially issued by the international organization for Standardization in 2000. ISO/IEC 17025:2005 specify the generally laboratory requirements for the components to carry out test and or/ calibration. This includes sampling. It covers both test and calibrations performed using standard methods, non- standard methods, and laboratory development methods (all type of methods). There are two sections in ISO/IEC 17025:2005 ??? Management Requirements (section-4) and Technical Requirements (section-5). Management requirements are primarily related to the operation and effectiveness of the quality management system within the laboratory. Technical requirements address the competence of staff, methodology and test/calibration equipment. There are many commonalities with the ISO 9001 standards, but ISO/IEC 17025 adds in the concept of technical competence. This is standard apply directly to those organization that product testing and calibration result. Laboratories use ISO/IEC 17025 implement a quality system dedicated to improve their competence to consistently product valid result. ISO/IEC 17025 also basis for accreditation from an Accreditation Body. Since the standard is about technical competence, accreditation simply formal recognition of the deportation of that competence. A prerequisite for a laboratory to be granted accreditation is to have documented quality management system addressing the elements of the standard. 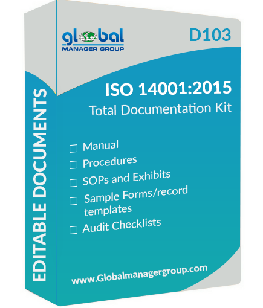 Typically content of the quality manual follows the outline of the ISO/IEC 17025 standard. Even though labs can be audited and certified (or registered) to internal management systems such as ISO 9001 (the standard typically used in manufacture and services type organization for managing for quality their product or services) ??? ISO 9001 DOSE NOT evaluate technical competence ??? this means that evolution of ISO 9001 won?? ?t ensures that the testing/calibration/inspection data provided is accurate, competent, or reliable. Where ISO 9001 covers the entire facility, ISO/IES 17025 specially covers methods or function details in each individual laboratory?? ?s ?? ?Scope Accreditation?? ?- this cope determined by the laboratory and assessment activities will be focused on those process that affect this scope. ILAC (International Laboratory Accreditation Corporation) member will be award that many their accreditation laboratories have been experiencing difficulty convincing their customers they should asking laboratories to be accredited to ISO/IES 17025 (prior to 1999 ISO Guide 25) rather than be certified ( registered) ISO 9001. The situation become more acute with the publication ISO 9001:2008, customer continually asked laboratories to be certified, laboratory do not operate a recognized quality management system. What evidence dose accredited laboratories have to prove accreditation statues? Accredited Laboratory?? ?s have both a ISO/IEC 17025:2005 Certificate of Accreditation and more importantly they have a ?? ?Scope of Accreditation??? The scope of accreditation lists pr? ?cis detail of the Testing, Calibration and Dimensional Inspection parameters for which accreditation is been granted. Accreditation Bodies such as NABL and L-A-B full member signatures to International Recounting Agreements though ILAC (International Laboratory Accreditation Corporation). Accreditation bodies throughout world have adopted ISO/IEC 17025 basic for accreting (evaluating) testing and calibration laboratories. Though these multi ??? lateral Agreement (ILAC Agreement) acceptance of data greatly enhanced throughout world in economic who are also signatories. This is a great toward the goal of accreditation ?? ?Tested once accepted everywhere?? ?.